Find your fit: Valerie Wilkins M.Ed. ’08 works with University Admissions and experts nationwide to help legacy families find their college fit. ALUMNI ENGAGEMENT “I want to be the help someone provided for me.” That’s the mission of Valerie Brown Wilkins M.Ed. ’08, alumni admission associate, as she guides alumni and their high school–aged children through the sometimes-stressful process of applying for college. Wilkins creates and runs a wide variety of programs and services related to college admissions. 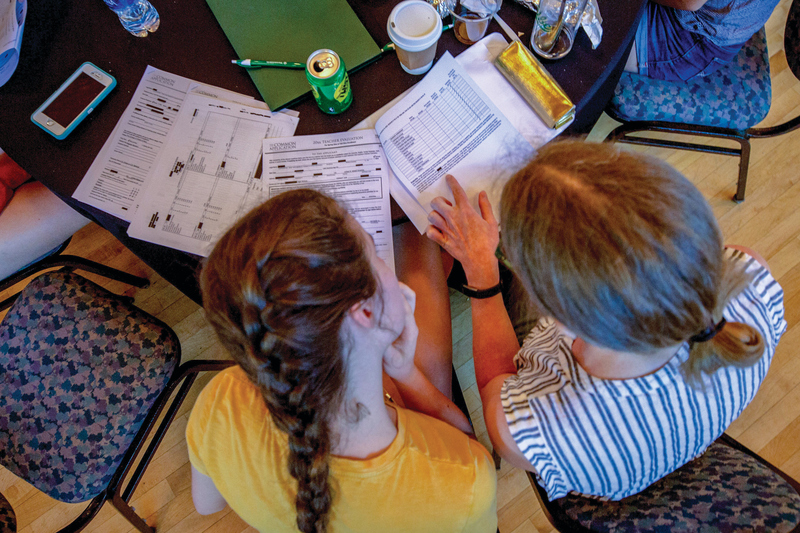 The Alumni Admission Weekend — Rising juniors and seniors and their guardians have the opportunity to hear from experts in the field about the college admissions process, and families can experience the decision process through the eyes of an admission professional in a mock committee exercise. It’s a lot to take in, but it’s a lot of fun too! Webinars — View from anywhere, live or on demand! Topics include “The Common Application,” “Recommendation Letters” and more. Wilkins recommends taking notes, asking questions and sharing with friends — viewers don’t need to be alumni. Legacy Family Programs — Throughout the year, the Alumni Association celebrates legacy families (families in which one generation has attended William & Mary). Wilkins also helps legacy families arrange campus tours and professor visits. Alumni Admission Volunteer Network — Help recruit the best and brightest to William & Mary! Volunteers receive training to attend college fairs, write congratulatory cards to accepted students and spread the word about the Alma Mater of the Nation. Sign up at wmalumni.com/volunteer. Wilkins’ passion for helping students find their college fit originated when she was a high school student in Richmond, Virginia. She was part of the Partnership for the Future program, which provides underrepresented students with summer internships as well as college visits, SAT prep, essay writing help and community service opportunities. 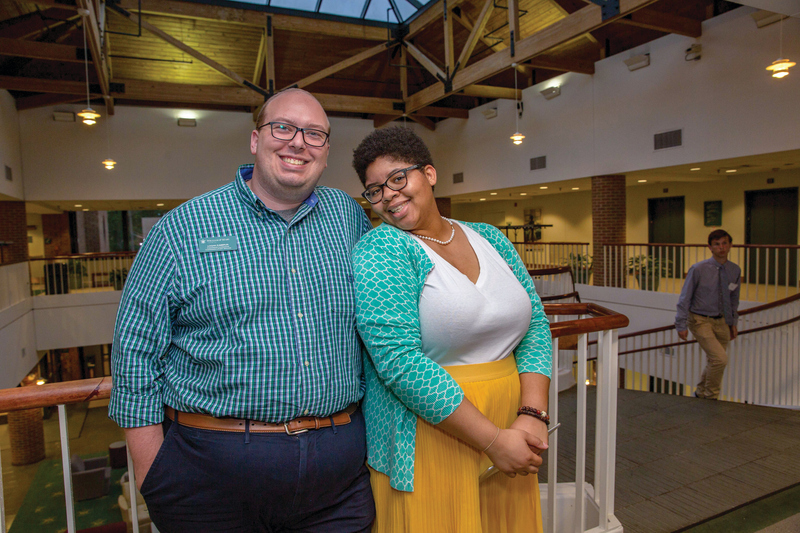 With the guidance of this program, she attended the University of Richmond for her undergraduate degree, and she realized she wanted to help others on their path to college. William & Mary was a perfect fit for her master’s degree in higher education. While a graduate student, she worked in what is now the Center for Student Diversity and the Dean of Students Office with nontraditional students and ran summer residential programs for high school students, valuable experience for her current role at the university. She has also worked at the University of Richmond and the University of Georgia in their multicultural affairs offices. Trust that you’ve raised your children to be amazing individuals. Trust the process. It’s designed so the right students find the right colleges. Help your students know that they are going to land in the right place. College is about the experiences that you have. Each student finds the place they can thrive in the end. Remember, even though this process can be stressful, students should enjoy this time of their lives too! Wilkins feels like she has landed in the right place at William & Mary.